"Don't worry - there's plenty for everyone!" Pope Francis responded to the continuing crisis of priest sexual abuse in the Catholic Church today, urging his bishops in the United States to offer their very best thoughts and prayers. Though many assumed the Pontiff came up with the idea because he is head of his own religion, Francis say he actually got the idea of offering thoughts and prayers from following US politics. 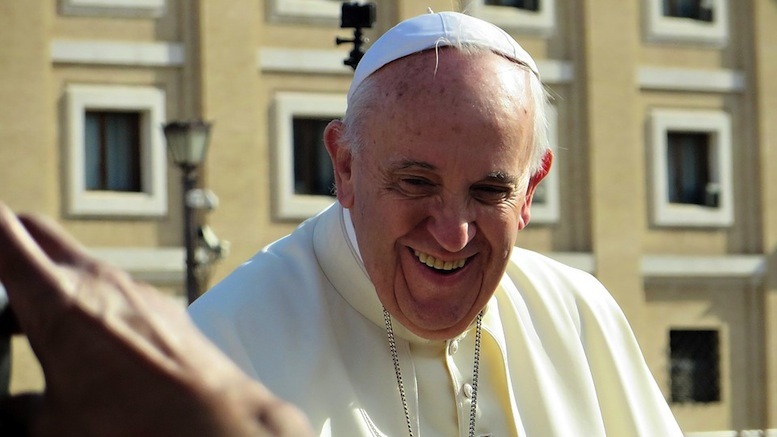 While some people urged Francis to do more, including taking some actions that actually have a tangible form here on Earth, he maintained he knew what he was doing. 1 Comment on "Pope Francis Steals Republican Playbook By Offering Thoughts & Prayers In Response To Crisis"
Smart guy, taking his followers back to the 8th century!